It used to be, in order to sell your home, all you really needed to do was paint all the walls Magnolia, have a bit of a de-clutter, pop on a pot of coffee and live near a good school. Buyers today however, are looking for a slightly different set of features. With ever increasing costs of heating and dependency on technology, the features that buyers are now looking for may surprise you. Hitting the top two places in a recent survey by Go Compare were central heating, with 79% of buyers citing it as a must have, and double glazing with 74%. 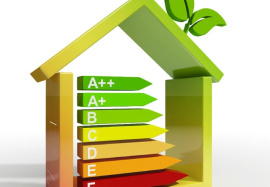 With many of us trying to do our bit for the environment and also keep household bills to a minimum, finding a house that is energy efficient ticks both boxes. With the increased popularity of streaming movies and TV, more than half of all buyers (53%) said that having a good reliable broadband connection was a key factor in choosing a property. Bathroom features also come out as a priority for buyers with 57% wanting a bathtub and 47% a separate shower cubicle, though only 34% were interested in an en-suite. The importance of having a good school nearby has fallen dramatically, not even reaching the top 20 features buyers were looking for with only 15% of buyers saying it was essential factor in choosing a property. More important factors were local amenities and shops followed closely by having friendly neighbours. A large enough living room for a big flat screen TV, a garage and a dining room were also desirable features making the top 20. “From our research it’s clear that today’s potential homebuyers are putting practical concerns ahead of aesthetics. They are looking for warm, cosy properties, which are energy efficient and well connected to modern amenities rather than ones that are full of character.